The Twelfth International Aluminum Extrusion Technology Seminar & Exposition - ET'20 is being held at the Hyatt Regency Orlando, located 15 minutes from Orlando International Airport. A block of rooms will be available at a special ET'20 group rate for single or double beds. Sign up for the ET '20 mailing list to receive notifications about hotel reservation and availability. Space will be limited and group rates cannot be guaranteed. Register early to ensure the ET'20 group rate. 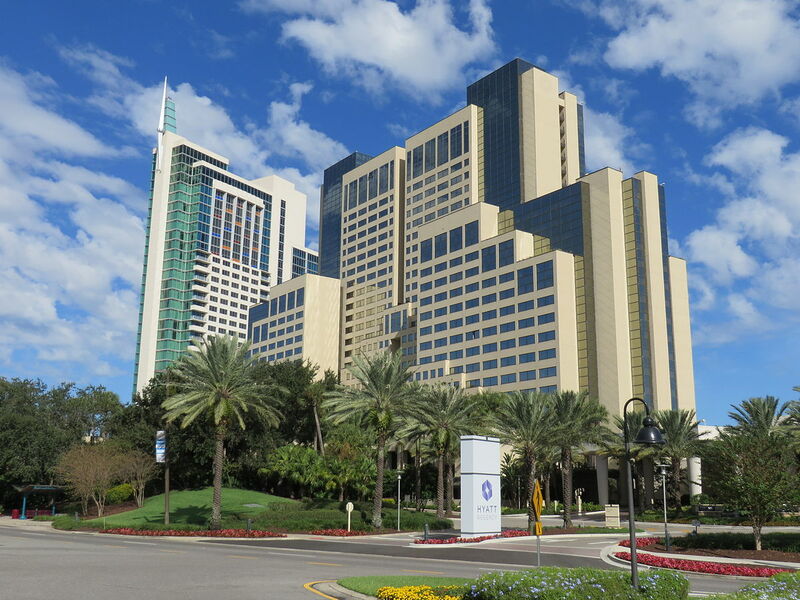 Make your reservation directly with the Hyatt Regency Orlando by following the reservation link available soon. Additional hotel accommodation information will be available at a later date. A daily resort fee of $15.00 will be added to each guestroom. This fee covers several amenities, including Fitness Center Access (fitness classes, pool activities and bike rental), 10% off Spa treatments and merchandise, I-Ride Trolley Tickets (2), local and 800 calls, incoming and outgoing faxes and 2 bottled waters per day. Covered amenities are subject to change.